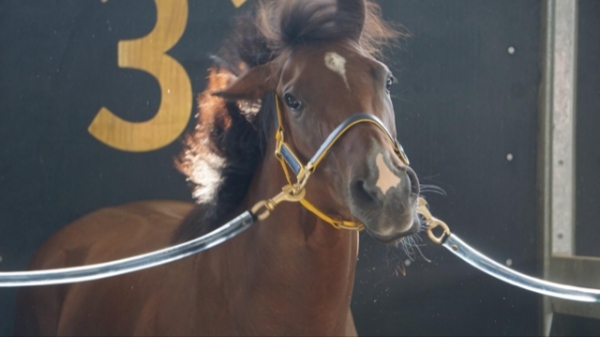 Own a share of a beautifully bread last start winner from a stable on fire and racing next Wednesday at Sandown. No waiting for months, years with training fees, not knowing whether your horse is going to be any good and opportunity to get your money back this preparation. There's 5% available. You can have the 5% or have 2,5% as I have someone else interested for 2.5%. CHOISIR (AUS) (Chestnut 1999-Stud 2003). 7 wins-3 at 2, VRC Lightning S., Gr.1. Sire of 1661 rnrs, 1086 wnrs, 92 SW, inc. Olympic Glory (Longchamp Prix Jean-Luc Lagardere, Gr.1), Starspangledbanner, The Mission, Obviously, Sacred Choice, Historian, Choice Bro, The Last Lion, Japonisme, Divine Prophet, Kushadasi, Sir Moments, Dreamscape, Hurried Choice, Glory Awaits, Secret Weapon, Celtic Dancer, Stimulation, Rajasinghe, Chandlery, etc. Precocious Girl (f. by Choisir). Winner. See below. Reckons. 6 wins-1 at 2-from 1000m to 1600m, A$90,845, 2d AJC Rose of Kingston 2YO H., STC Caravan Camping RV & Holiday Supershow 2YO H., 3d AJC Preferred Seating 2YO H.
Jive Talk. 2 wins. See above. The Bar. Winner at 1200m in Aust. YELL (Anabaa). Champion Sprinter in Australia in 2002-03. 9 wins-2 at 2-to 1400m, A$1,566,450, MRC CF Orr S., Gr.1, Futurity S., Gr.1, MVRC Australia S., Gr.1, STC Canterbury S., Gr.2, MVRC Norman Carlyon S., Gr.2, CS Hayes S., Gr.3, Ian McEwen Trophy, L, MRC Veuve Clicquot S., L, BTC Golden S., L, 2d MVRC Manikato S., Gr.1, AJC TJ Smith S., Gr.2, STC Todman Slipper Trial S., Gr.2, SAJC Breeders' S., Gr.2, BTC Champagne Classic, Gr.3, MRC HDF McNeil S., Gr.3, Moonga S., Gr.3, Bletchingly S., Gr.3, 3d MRC Futurity S., Gr.1, MVRC Mitchell McKenzie S., L, MRC Rancher 2YO P., 4th AJC All Aged S., Gr.1, BTC Doomben Ten Thousand S., Gr.1, MVRC Norman Carlyon S., Gr.2, MRC Sandown S., Gr.3, AJC Hall Mark S., L.
Microphone (Exceed and Excel). Winner at 2, A$97,550, in 2018-19, VRC Arbour 2YO P., 2d MRC Blue Diamond Preview (c&g), L.
Choral. 9 wins to 1350m, A$121,800, BRC Bundaberg Five White Rum Country Cup, Drumbeats at Lyndhurst H., 2d BRC Woolworths H.
Bellow. 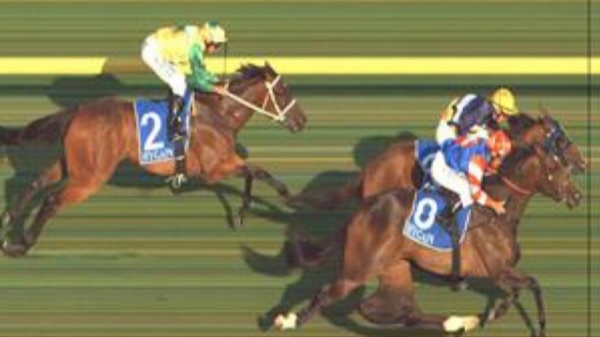 Winner at 1200m, STC Mars Bar P., 3d STC Refsure 2YO H.
ANTHEMS (Palace Music). Second top colt on the 1995-96 Australasian 2YO Classification. 10 wins-6 at 2-from 1200m to 1600m, A$860,368, QTC Sires' Produce S., Gr.1, Queensland Classic, Gr.1, NSW Tatt's RC Roman Consul S., Gr.3, AJC Fernhill H., L, QTC Brisbane H., L, Newcastle JC Cameron H., L, AJC Gold Rod 2YO H., Herbert Jones 2YO H., STC 13 Find H., 2d AJC Champagne S., Gr.1, STC Phar Lap S., Gr.2, 3d AJC Challenge S., Gr.2, Hobartville S., Gr.2, BTC Courier-Mail Classic S., L.
VOCALIST (Bluebird). 2 wins. See above. TIGER QUEST (Where's That Tiger). 6 wins-2 at 2-to 1200m, R598,950, Turffontein Gardenia H., L, 2d Turffontein Camellia S., Gr.2. LAMASERY (Commands). 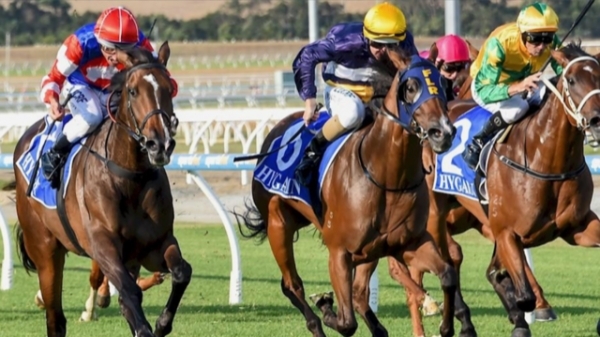 11 wins from 1400m to 2400m, A$630,450, ATC Hill S., Gr.2, Kingston Town S., Gr.3, Colin Stephen H., Gr.3, VRC Johnnie Walker S., L, ATC Mad Mex Fresh Mexican Grill H., Tony & Manera Lahood H., 3d ATC Metropolitan H., Gr.1, NSW Tatt's RC Chelmsford S., Gr.2.